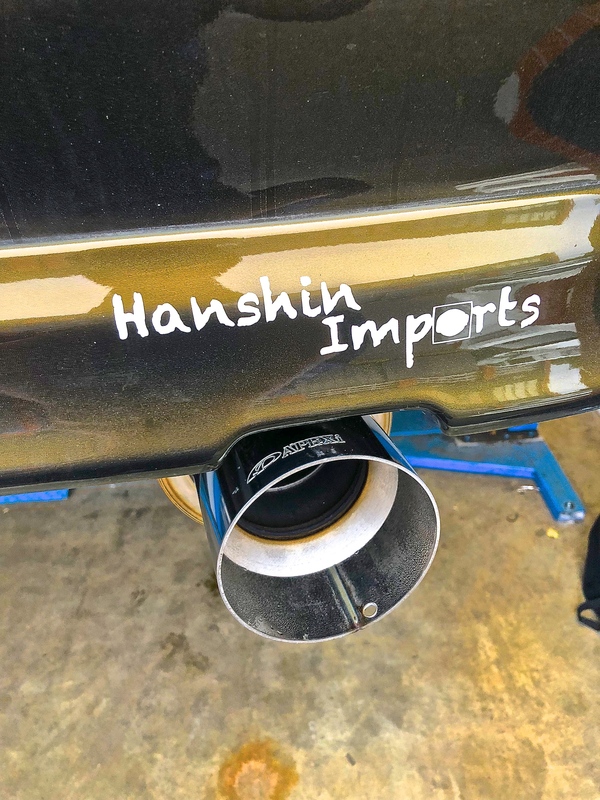 Welcome Back to another episode of modifiying and building the Hanshin-Imports Demo Car. 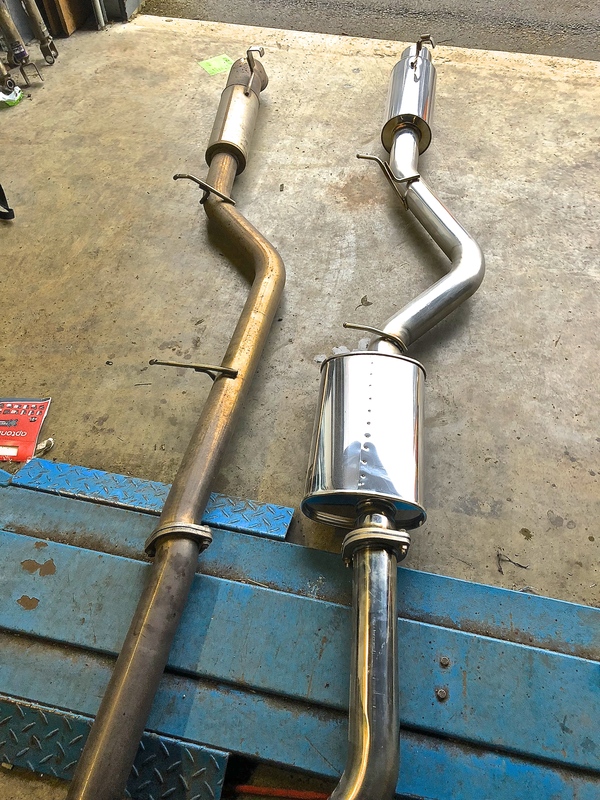 This time, what we have been waiting for from Japan has arrived: our new Exhaust! Finally! As you can see, this isn't much of an exhaust. In fact it's even less something that reduces the noise of the car. It was brutally loud. We still have some videos of the noise. We might post them in a future episode. Lets compare the old with the new. As you can see we are adding a silencer. This car is going to be registered on the road in Switzerland. In that respect we have to comply with noise regulations. Since we are the official Swiss and European distributor of Apexi Parts, we decided its best to Test and use our own products. 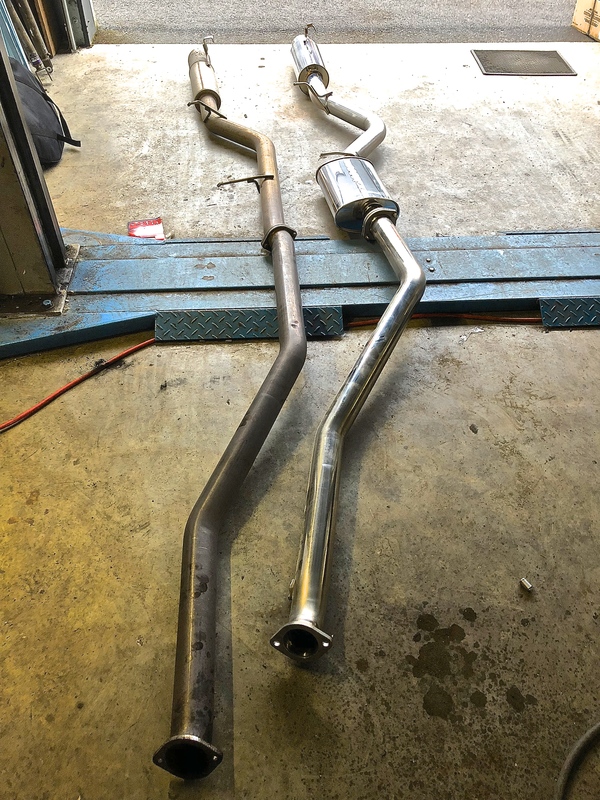 This is why we chose this exhaust. 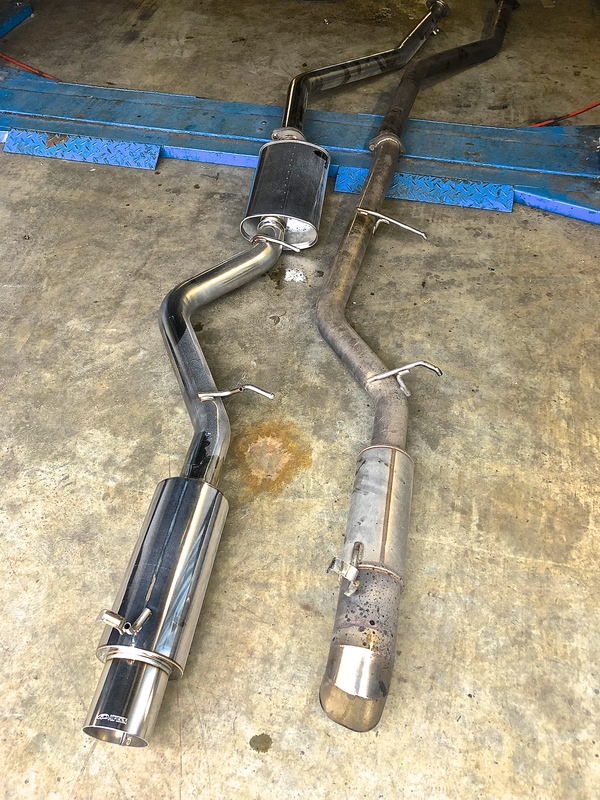 Even though there is a silencer more than the previous catback, the excellent paoint about this exhaust is that it's from the begining to the end 80 to 85mm (3inch) in diameter. We figured we will lose some of the sound, however the performance will be maintened since we are keeping the same diameters, hoping to get the best of both worlds! Of course, it's important to show the most visible part of the exhaust. The Muffler! The new one deffinetly looks better than the old/banged up one.What do you think? Installed on the car! What do you guys think? 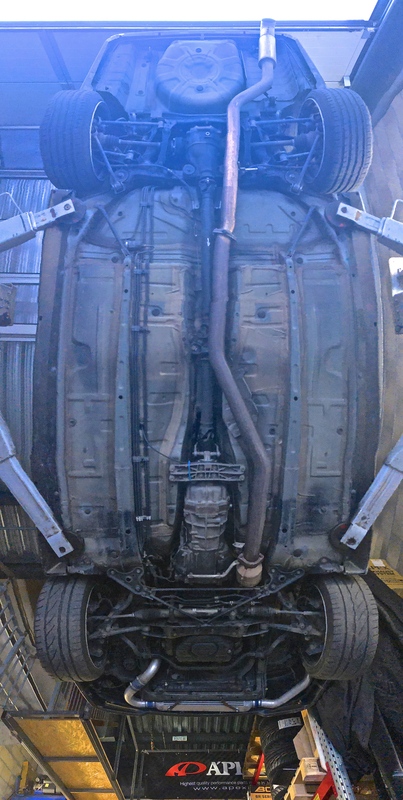 These pictures also allow to show how clean the chassis of the car is! What a great base to start to build something nice with it! Full 3 inch goodness all the way! Finally, We also wanted to say a big THANK YOU to Apexi Japan for participating in the build! Thanks again for reading this post! Soon we will be showing the engine of the beast. Make sure to stay posted when the next article comes out!